Why power grid design has become a limiting factor for PPA. As designs increase in complexity to cater to the insatiable need for more compute power — which is being driven by different AI applications ranging from data centers to self-driving cars—designers are constantly faced with the challenge of meeting the elusive power, performance and area (PPA) targets. 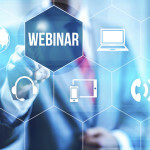 In the ANSYS webinar, learn how NVIDIA has developed a workflow to run a flat, full-chip power integrity and reliability signoff analysis using a fully distributed compute and big data solution with ANSYS RedHawk-SC. 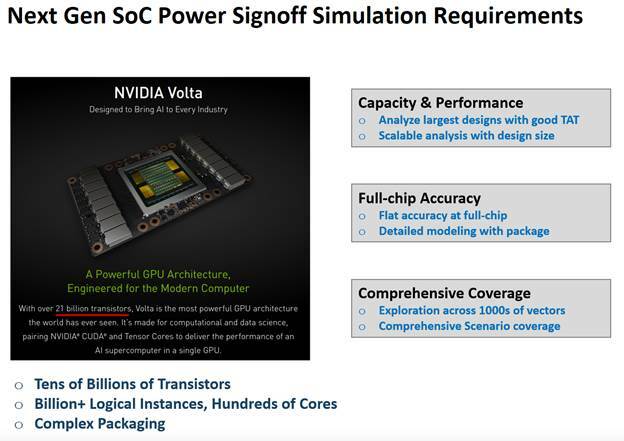 They achieved a turn-around time of well under 24 hours for full-chip flat power signoff analysis on NVIDIA’s largest GPU – Volta, which contains around 21 billion transistors.